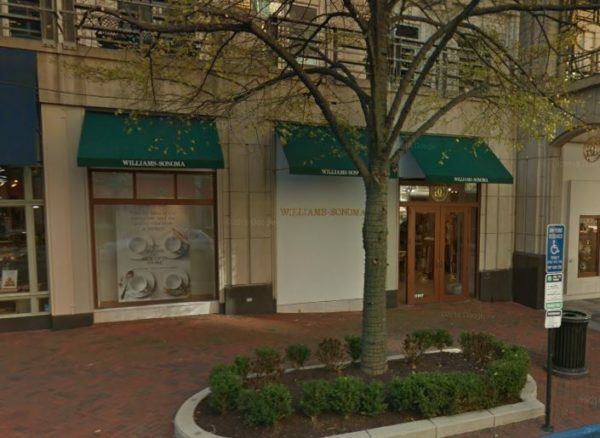 The Williams-Sonoma in Reston Town Center is set to close in January, a spokeswoman for the company told Reston Now. “We plan on closing in early January, but do not have a specific date to share at this time,” the spokeswoman wrote in an email. The store is located at 11897 Market Street. Other locations nearby include Tysons Galleria in McLean and the Mosaic District in Fairfax. Questions have been raised about the status of the Pottery Barn, which is also operated by Williams-Sonoma Inc., at 11937 Market Street. Reston Now has not heard back yet from a representative for that store.